We fill the auto with full synthetic BG ATF oil and the diff with BG ultra gaurd(gl 5)oil. It then goes to our in house dyno. The transaxle is then put thru its paces to ensure the highest quality unit is sent to you. ready for install, oil and all. For those that are building their rig above and beyond, German Transaxle does have upgrade components available. 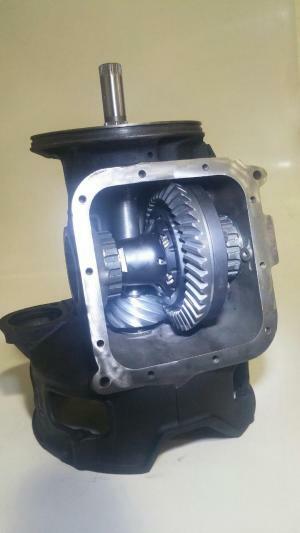 The standard ring and pinion for 090 finals is 4.09. We offer 3.27, 3.72, and 4.45 options depending on your build requirements. 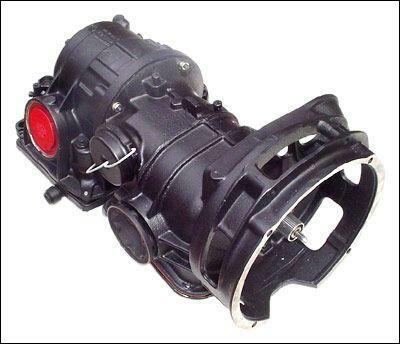 A Peloquin ATB diff for added traction or our turbo upgrade which includes a 4 planetary hub and kevlar band. We also have 2 separate cooling options, a must have for transmission longevity. For more options and help please call. Our core charges are based on individual damaged or failed components within your transaxle. We won't ding you for the whole core if you only have 1 failed part. Except for the ring and pinion that one is a full core ding.